Russ White is currently a member of the Architecture Team at LinkedIn as well as on the Routing Area Directorate at the IETF, and co-chairs the IETF I2RS and BABEL working groups. Russ is working on his PhD from Southeastern Theological Seminary. You can follow Russ White at his blog, Twitter, and LinkedIn. 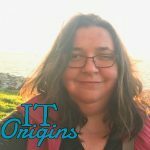 What’s your IT origin story? How long have you been in the field? I began in electronic engineering, but I did have a TRSII Coco that I messed around with doing BASIC and assembler. My primary interest was in the hardware. When I joined the USAF, I worked in airfield electronics, but I taught myself C and xBase along the way. When the small computer support office needed someone to do general desktop and network support, I moved into that role, learning Banyan VINES and Novell NetWare on ThickNet and token bus hardware, along with the Xerox Star, VT100 terminal emulation on a Harris mainframe, and Z100/150/200/250 systems. I transitioned to working on crypto gear and telephone equipment, then left the USAF. Once I left, I decided to work primarily on networks, so I joined a small consulting firm, where I focused mostly on Novell NetWare, eventually earning a CNE4. I then moved to Raleigh, NC, and started working at Cisco in the Routing TAC team. From there I moved to the Escalation Team, then to the IOS-XR team, then IOS deployment, then to sales, and finally out of Cisco (after 16 years) to Verisign Labs. Along the way I helped build a few certifications, wrote a few books, and did a few other odds and ends. What’s been the biggest change in IT since you started your career? Deeper specialization is certainly one trend. Another is the rise of strong vendor offerings, and the accompanying rise of what I would call “pseudoengineering” (or perhaps metaengineering) a focus on vendor product and features, rather than on problems, solutions, and technologies. The network engineering world has flattened out since I first started working on networks — in the sense that the knowledge of the average engineer has much less of an idea of why things are the way they are, and a much better idea of what products and “knobs” can be used to solve specific problems. This ties into the worst trend in IT right now. Current worst trend in IT? Our inability to fight back against marketing departments using every new concept to refer to whatever their company happens to make. Software defined and cloud are almost useless terms at this point, as they mean everything, which means they actually refer to nothing. The second worst trend is the lack of engineering skill in the broader network engineering world. The second worst trend is the lack of engineering skill in the broader network engineering world. This is related to the flatness and shallowness of our current crop of engineers. Almost no-one reads the research, either old or new, any longer. Almost no-one knows the history, and few are even interested in why things work the way they do. Our educational and certification programs are developing engineers with a deep understanding of product lines, down to the right optical transceiver to use, and yet almost no knowledge about how networks actually work. We know all the answers, and almost none of the questions. Current best trend in IT? Disaggregation and Linux-based networking are perhaps the healthiest trends right now. If this trend heats up, it could put the engineering back into network engineering, selecting solutions because they actually solve problems, rather than focusing on “future proofing” to such an extreme degree. Hopefully the network engineering world will not allow this term to be hijacked by vendors, as well. The other good trend is that IT is, perhaps, actually starting to pay attention to the business. There is a sense that we want to bury our heads in the sand of “doing this for the tech,” rather than actually doing a job that is necessary and good for the businesses that use IT services. This has led to a sense that IT is the necessary, but undesired, “thing” — a sink hole of wires and acronyms companies throw money at. I think there is a shift away from this, even though more work is needed here. How do you approach organization at work? What are your must use apps? How do you approach organization? What’s your ideal workspace? I tend to be hyper organized, and yet still not organized enough. I use Wunderlist to organize my todos and writing ideas, OneNote to organize larger ideas and filed information, atom for source code, word for writing, and, believe it or not, CorelDRAW for graphics (old habits die hard). I’m not a fan of any operating system for my desktop; these things are tools, and I tire of the O/S wars. Just let me get my work done, thanks. 🙂 I’m a heavy Notepad++ user, as well, and I read all my news through Feedly and RSS. I use Rambox for all my chat forum sorts of things, as I tend to stay on these all day. Book recommendations for other IT pros (besides The Phoenix Project?). What are you reading now? I read about 50 books a year, so it’s hard to say precisely. Most of my reading, however, is not in technology, it’s in philosophy, theology, culture, and related fields. It’s easiest to follow me on goodreads if you want to know what I’m reading. What do you do when you’re not working in IT? Lots of things. Work on guns and shoot when I get the chance. Work on my PhD. We homeschool, so I spend a lot of time with my kids (who are both almost done and moving out at this point). Work around the house. Take long walks with my wife. Hang out with friends (mostly talking about theology and philosophy). Teach when I get the chance. Chocolate is my only source of caffeine. Who do you want to see answer these questions? Jeff Tantsura and Don Slice. Best career advice you’ve received. Stop worrying about it so much; whatever it is, it will probably be overcome by events anyway. Work fast, work hard, work efficiently, and work consistently.